whatever he may have seen or heard outside of the monastery." The Rule of Saint Benedict, chapter 4. 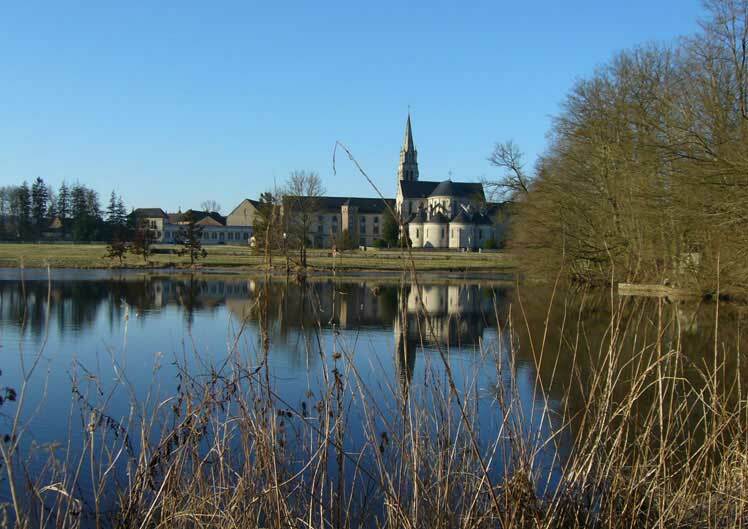 Timadeuc Abbey is a filiation of La Trappe Abbey (Orne). The Father Abbot of the founding community is in charge of guiding, protecting and looking after his "daughter" ! 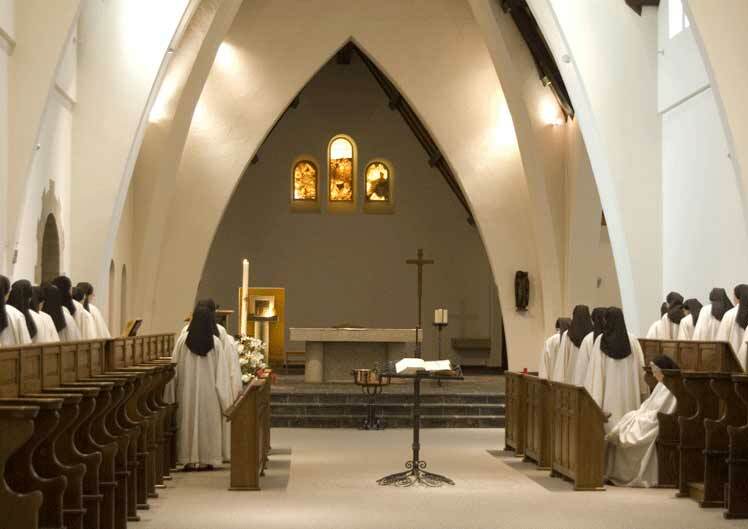 Every two years, regular visits are planned to "motivate the brothers to lead the Cistercian life with renewed spiritual vigilance and to strengthen, supplement and when needed, correct the pastoral action of the local abbot". We owe this network structure which guarantees the spirit of unity of the beginnings to the genius of Etienne Harding (third Abbot of Cîteaux) who wrote the Charter of Charity (Carta Caritatis). That Cistercian "organization chart" preserves the personality of each community while creating close links between each house, aware of belonging to one same Cistercian Order. in such a way that our mind may be in harmony with our voice." The Rule of Saint Benedict, chapter 19. Timadeuc Abbey is linked to La Joie Notre-Dame located at Campénéac, close to Ploërmel. The Father Abbot of Timadeuc is called the "Immediate Father" of the nuns of that community. Hence close brotherly relationships and frequent visits. 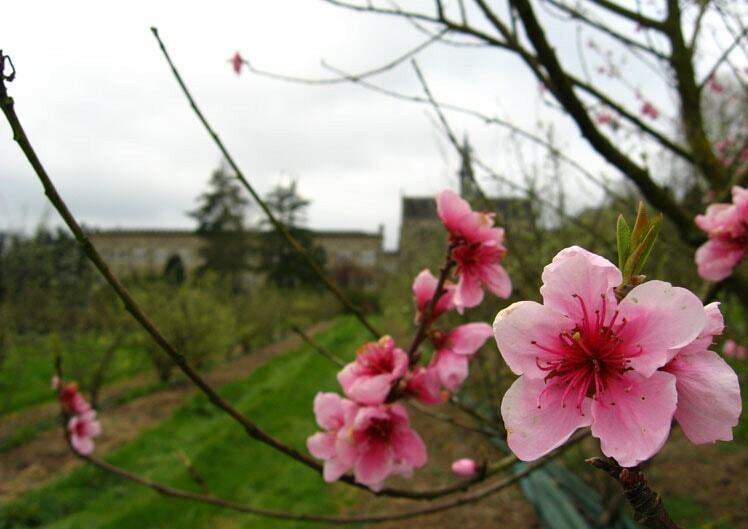 Those links were even strengthened when the community moved from Sainte Anne d'Auray to Campénéac since the current monastery was built for a large part by the brothers of Timadeuc themselves in 1953. The sisters have founded a monastery in Madagascar, under the name of Notre-Dame d'Ampibanjinana and it is expanding. The Father Abbot of Timadeuc is also the "Immediate Father" of that Malagasy monastery which he visits every two years. Those brotherly links which can exist between a male and a female community in our Order are one of the treasures of Cistercian Monasticism. "And so we are going to establish a school for the service of the Lord." The Rule of Saint Benedict, The Prologue. "A new branch on the Cistercian tree" as Dom Bernardo Olivera, former Abbot General of the Order called them: lay Cistercians..
"Our fraternity linked to Cistercian Abbey "Notre-dame de Timadeuc" was born out of the desire expressed by several friends of the Abbey to know its spirituality better and even more, to get closer to the monastery some of them had been attending for quite a while." About 15 people, very much involved in society and in the Church (2 married men are permanent deacons and one woman is a consecrated virgin) want to live an experience of Cistercian spirituality which is essentially based on prayer, sharing, lectures (The Rule of Saint Benedict, the Cistercian Fathers), the communion experienced during those meetings but also in everyday life. This Fraternity of Timadeuc is linked to the other Fraternities all over the world and maintains links with the Order as a whole. The Rule of Saint Benedict, chapter 67.